Award-winning author Robert Harms (Yale), author of The Diligent: A Voyage Through the World of the Slave Trades, provides a fresh perspective by placing Africa in a global context. 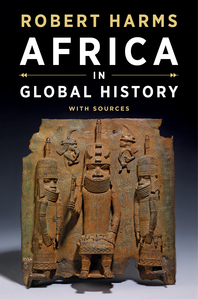 He presents African history as an on-going dialogue between global forces and uniquely African developments. Africans did not merely bend before global forces; they also confronted them and altered them, even though they could not ignore them—a tension that drives the narrative. Rather than covering the histories of different regions in separate chapters, Harms offers a chronological integrated survey. By addressing developments in all four of the continent’s major regions (North, South, East, and West) in most chapters, he helps students understand similarities and differences between regions and societies. 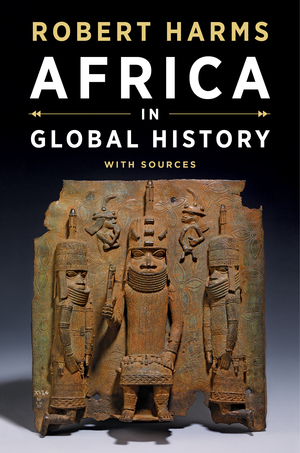 Harms has also organized Africa’s major periods around significant thematic shifts, which consistently situate the geographical regions of Africa in their larger global contexts. Throughout his engaging narrative, Harms consistently highlights the ways in which Africa differs from other global regions. He also examines the commonality, interconnectedness, and cultural diversity of the regions and societies within Africa. Compelling vignettes also show how important events affected ordinary Africans, male and female alike, across kingdoms and belief systems. An engaging, full-color experience for students. Quality support for instructors. The text features a stunning full-color design with features that engage students in primary sources, images, and maps. Numerous teaching resources provide support for you, the instructor.